I only had to believe in You. Today’s TEA CUPP: Dear Friend, what is your story? This verse below from Titus reminds me how I did nothing. Jesus did it all, I only had to believe. I pray that you also believe in Jesus and share in His forgiveness and eternal promises. The song “Glorious Day” by Casting Crowns says it beautifully: “Living He loved me, dying He saved me, buried He carried my sins far away. Rising He justified freely forever. One day He’s coming, Oh, Glorious Day!” Use this song to worship Jesus today. The website I use for clip art has hundreds of pictures on most topics. It is handy to find photos that are just right for my articles. 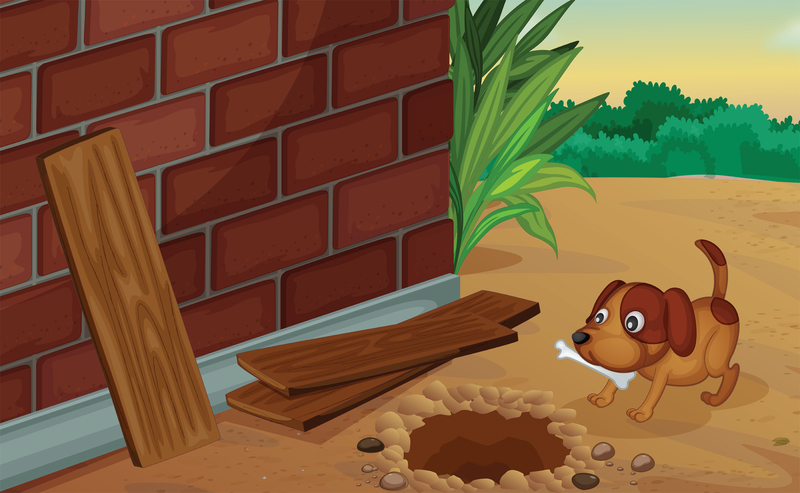 When I searched for “Hiding Place,” though, it only gave me one photo…a dog burying his bone. I had to laugh, because Jesus is my hiding place. I’m not sure if I’m the bone and He is the hole in this picture? Some days I just want to hide from the world, get away from the hurts and pain. I pray Psalm 32:7, You are my hiding place, Jesus, You protect me from trouble and surround me with songs of deliverance. Let me hide in You today, Lord! There have been several times in my life when I’ve needed these verses. I remember the day I was taken away in an ambulance. It was the first time I lost a baby and we almost lost me, too. I was so scared until the ambulance people put me in a stretcher. The stretcher was U-shaped fabric, hugging my body as they carried me out the door. I continued to feel that hug for the next month. God’s everlasting arms must be like that. Though I do not like troubles, the feel of having the Lord so close, being in His hiding place, is one I always treasure. Today’s TEA CUPP: Are you going through a rough time? Sometimes the holidays remind us of past sorrows, and can bring sadness rather than joy. Please look to the Lord, dear friend. Curl up in His Hiding Place, read His Word, sip a TEA CUPP with Jesus each day. 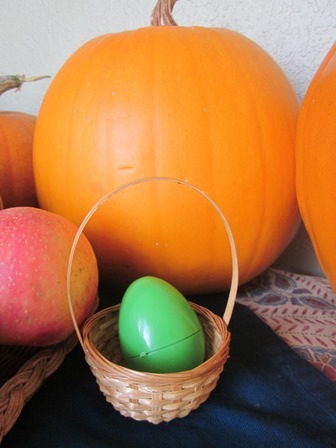 Last spring when we were putting away the Easter decorations, I missed one little egg and basket. I did not want to dig my Easter Rubbermaid container from the bottom of my closet, under the baby swing and infant car seat which our toddler no longer needs. So the Easter egg sat on our window sill through the planting of our garden, Fourth of July sparklers, and school books opening again on the kitchen table. 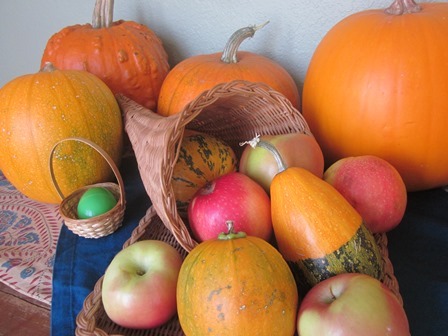 The pumpkins are now turning orange and I actually dug into that closet to retrieve the fall cornucopia. But still I did not put away our little egg. Why not? Because all summer it gave me a reminder of Easter, the happiest holiday of all, when we rejoice in God’s forgiveness through Jesus Christ. My green oval friend repeats for me the promise of new life we have in Christ and the eternal life we will have in heaven someday. Even God set reminders before His people. He commanded His chosen people to celebrate the Passover each year, to remind them of His miraculous deliverance from Egypt. When Jesus had His last supper, He was celebrating this very Passover. Yet He gave a new way for His followers to remember, sharing with them the bread and cup. Today’s TEA CUPP: God calls us to remember and teach our children about Him. What reminders do you have in your home to point your family and guests to Jesus? If you need an idea…just leave out your Christmas Nativity scene this winter or an Easter egg next spring! 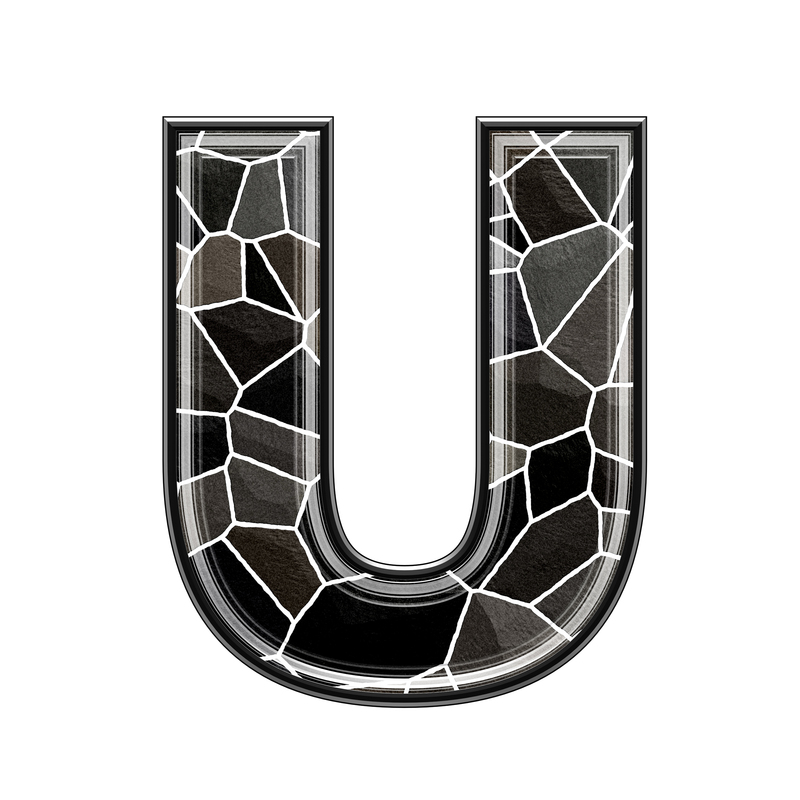 The “U” part of My TEA CUPP Prayers is all about UNDERSTANDING our stories, so we can share how God has helped us with others. But as I read this verse in my Bible one day, I realized we can’t always understand. There are some parts of His Plan that I will never comprehend until I see Jesus face to face, and perhaps by then it won’t matter anymore. For now I struggle with un-answered prayers, seeing children from church leave God’s path for a time, babies dying…I just don’t understand. But I can pray for God’s peace and for me to do what is right. Instead of having a testimony to share, I can be a testimony in these tough situations. Our church sponsored a village in the Philippines as a mission project. The day I was writing this, an earthquake of 7.2 magnitude rocked their little island. People are dying, buildings are destroyed, century-old churches lie in ruins. And it is hard to understand. Can God use this great tragedy to bring more people to His Kingdom? Can our church be a testimony yet in this tough situation? Yes! I might not UNDERSTAND, but I can BELIEVE! 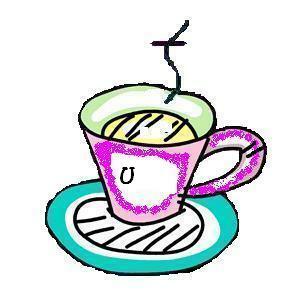 Today’s TEA CUPP: Is there an event in life you are struggling with right now, something tough you just don’t understand? Jesus understands. 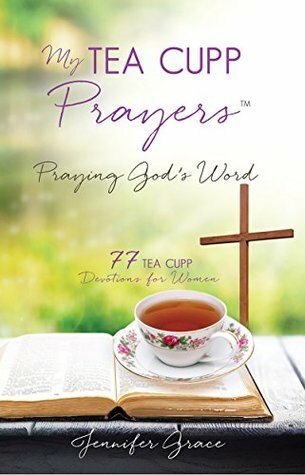 Give it to Him during your TEA CUPP prayer time today. Believe that He will bring good out of it all.